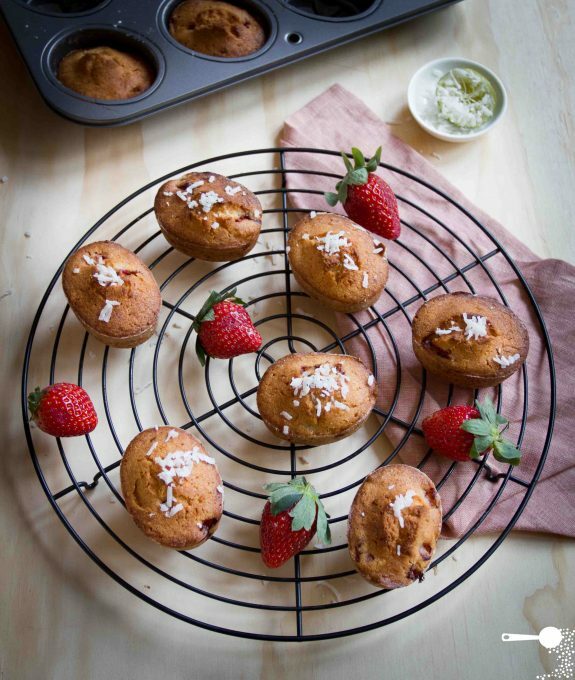 Delicious gluten and dairy free friands filled with summer’s best flavours of strawberries, coconut and lime. Great with a cup of hot tea in winter. Last Friday I attended the Sydney installment of Australia’s largest food and wine festival, the Good Food and Wine Show. One of the new finds this year included Brookfarm‘s absolutely stunning award-winning macadamia oil. I grabbed 2 bottles and went on my way, with a few samples of their new gluten free muesli (yes!) and gluten free Porrij porridge – thanks guys. Now it may come as a surprise that I have been able to find fresh strawberries as we are now a third of the way into winter. I guess we are really blessed that way in Australia. A variety of climates helps produce delicious fruits and veg almost all year round. These beautiful, flavorful Queensland strawberries come into season right about now and at $2 a punnet that’s a real steal, especially in winter! Inspired by the ingredient and a delivery of brand new Baker’s Secret bakeware thanks to Impact Communications, I had decided to make summery friands. I don’t normally like to “waste” fresh strawberries in baked goods, but I thought that a fruitty friand would be the best match for the colder weather during our Aussie winter. This friand recipe is yet another adaptation of my gluten and dairy free fig tarts – it’s just so versatile! This time I added some coconut and lime to the mix as well, which gave me a perfect excuse to also use Brookfarm’s delicious macadamia oil and Kokomo’s coconut water instead of the apple sauce I normally use to increase the moistness of the friands. I used Brookfarm's macadamia oil and Kokomo's coconut water in this recipe, but feel free to use melted butter if not allergic, or peanut oil or even light-tasting olive oil. Icing on the friands is optional, I simply prefer to either dust them with a little icing sugar or serve with a little squeeze of lime juice over the top and sprinkled with extra coconut. Using an electric mixer or whisk, beat egg whites until stiff peaks form. Set aside. In a large bowl, beat egg yolks and sugar until light and flufy. Add almond meal, dessicated coconut, baking powder, macadamia oil and coconut water. Add lime zest and juice. Mix well to combine. Add egg whites and fold through the mixture. Add diced strawberries and mix gently to distribute the fruit. Divide batter evenly between 8 holes of the friand tin. Bake in a pre-heated oven for 20-25 minutes or until the friands are just starting to turn golden. Dust the friands with icing sugar or drizzle with some lime icing. Top with shredded coconut if desired. These are so pretty.. is it difficult to find macadamia oil or is there a substitute you’d recommend? It’s an Australian nut oil, so may be tricky to find overseas. You could use any oil really, my preference would be for peanut or light-tasti olive oil. I picked up about 4 punnets for $2 each the other day. The strawberries from QLD are just gorgeous. I think they’re better than the summer berries. I totally agree, so fragrant aren’t they? I am tasting these through the screen. It is so cold, wet and miserable here in QLD at the moment. These would surely brighten things up. Yummo!!! Excellent recipe, never thought of using coconut water in sweets but totally makes sense. I am really interested in that Macadamia oil…I have been trying some different oils out lately and finding that they make a big difference to the overall flavour. These look so lovely, I would fancy one with my tea this afternoon! I must start trying this gluten free stuff, not that I am allergic with gluten but I never tried any yet. Hey Raymund, neither are we but eversince trying a gluten free lemon polenta cake I have been experimenting with gluten free baking a lot. And dairy free too since I cater for morning tea gatherings occasiocally and there’s always someone bound to have an allergy to both. These are almost too pretty to eat! I can’t wait to try this recipe as mine is only eggwhites and a fair bit of butter. I love the sound of the macadamia oil. Won’t you please put cups or ounces after grams in your recipe directions, for those of us in the U.S.? 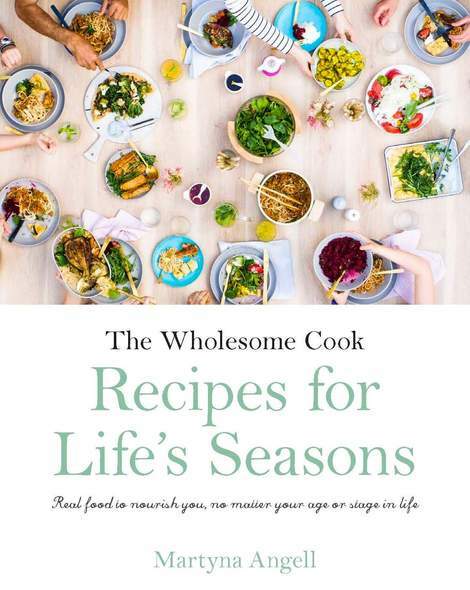 Hi Diana, apologies for that – I have been trying to do so in most of my recent recipes. In the meantime, for conversions please see this page. Recipe looks great, thinking of making them for Christmas. Might sub blueberries though as I can’t eat strawberries. Would they still work in muffin cases or would it just not be the same? Do u know if xylitol would work in place of the white sugar? Wow, these look beautiful. I’m always on the hunt for good GF recipes, having three coeliacs in our extended family. 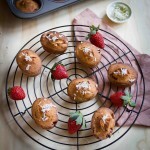 Coconut water is an interesting addition to friands – I can imagine they’d be lovely and moist. Thank you, they are indeed quite moist and delicious. Like you, we have a lot of family members and friends who are either Coeliac or gluten-intolerant. Hence why I try to make most of my recipes adaptable.